The Ottawa Senators, the National Hockey League and the NHL Players Association are pleased to provide the Little Sens - Learn to Play program, an introductory program for children 4 to 8 years old. These age groups will coincide with Hockey Canada's Initiation and Novice levels. Looking to register for Little Sens 2019-2020? Sign up on our notification list to receive an email when registration goes live! 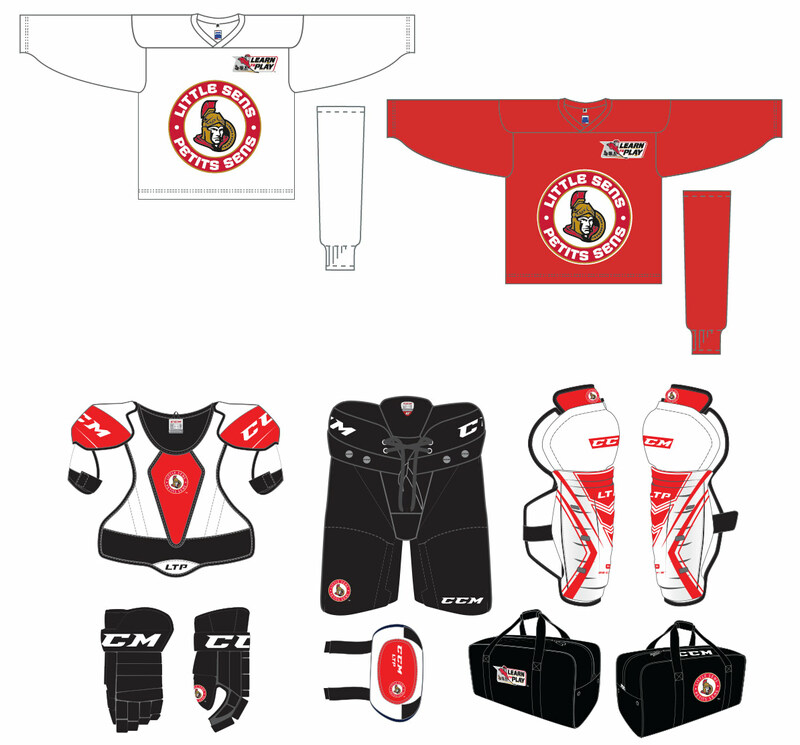 Please note a mouth guard, neck guard and athletic supporter (jock/jill) are not included with the equipment for Little Sens. These items are required to be worn on-ice and are available for purchase at your local Canadian Tire location or sports retailer. Upon registering for Little Sens, you will receive a confirmation email that will include a link to your son or daughter's personal page to keep you up-to-date with information on the program. We ask that you fill in your equipment sizes to assist us with our fitting days. Please review the fitting guide to accurately select the sizes of your equipment. *Children who previously registered in the learn to play program or in minor hockey through HEO, OMHA, Hockey Outaouais, or ODWHA are not eligible to participate in this program. For more information please contact littlesens@ottawasenators.com or 613-271-5657.